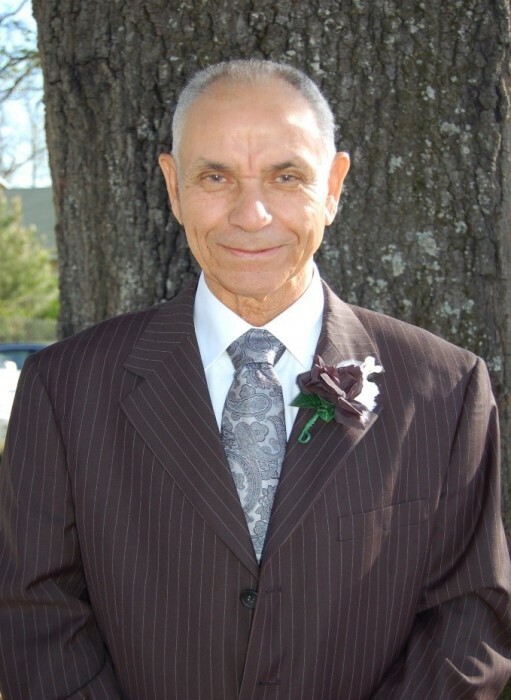 James Albert Bell, age 80 of 769 River Ridge Road, departed this life peacefully on January 24, 2019 at New Hanover Regional Medical Center in Wilmington, North Carolina. He was born in Robeson County on May 30, 1938 to James Edward and Dessie Oxendine Bell. He was preceded in death by his parents, James Edward and Dessie Oxendine Bell, his former wife, Carolyn Hunt Bell, his sister, Lola Jacobs, nephew, Edward Jacobs and great-niece, Nicole Raye Stade. James was a graduate of Fairgrove High School. James served his country honorably, being a veteran of the United States Army and later retiring from the Public Schools of Robeson County. He is survived by his wife of 9 years, Linda Chavis Bell, his family: Dusty (Cordelia), Tony (Sonya), Coretta (Silas) and Scottie (Stephanie). One sister, Valen Seals and husband Earl of Lumberton, one brother, Bobby and wife Carol of Bonita Springs, Florida. Several nieces, nephews and grandchildren and a host of many relatives and friends. Mr. Bell will be forever remembered by his family and friends.